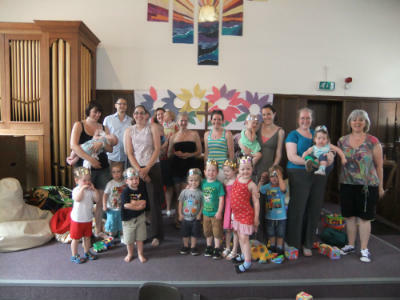 Jolly Tots meets fortnightly in term time, in our church on a Wednesday afternoon (see the Summer 2019 Programme for current dates) and is a mixture of church and toddler group. 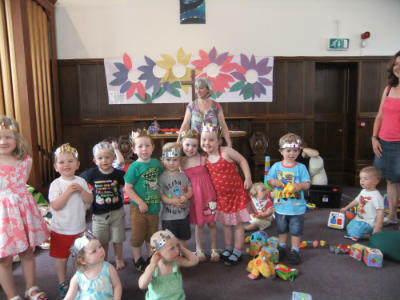 The sessions are very informal with an active sharing of a Bible story followed by songs, prayer and a craft relating to the Bible story to take home. 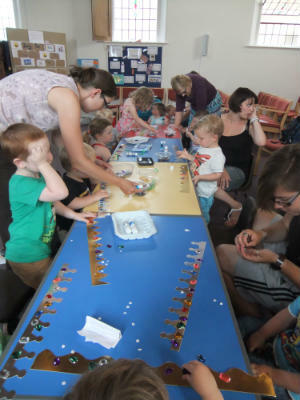 After a drink and snack the children can play with a variety of toys whilst parents/grandparents/ carers get the chance to chat over a cup of tea. Our sessions have themes covering each term. 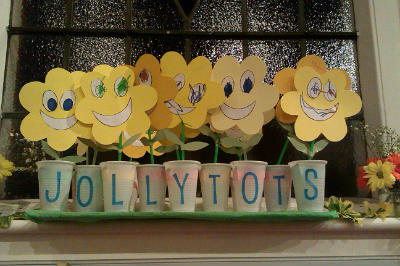 Past themes include 'God loves it when… I'm me, I dance, I sing', 'Friends of Jesus', and 'Jesus Loves Me'. We also include the Christmas and Easter Story. We recently made a banner together which is now hung in church. If you would like to know more please contact Sheila Moffoot on 0118 942 7128 or moffoot@talk21.com, or join the Facebook group.